The first chair designed by the Stockholm design duo Afteroom for the company Menu had four legs. The Afteroom chair was the result of the deconstruction of a chair with the aim of creating an original piece of design. 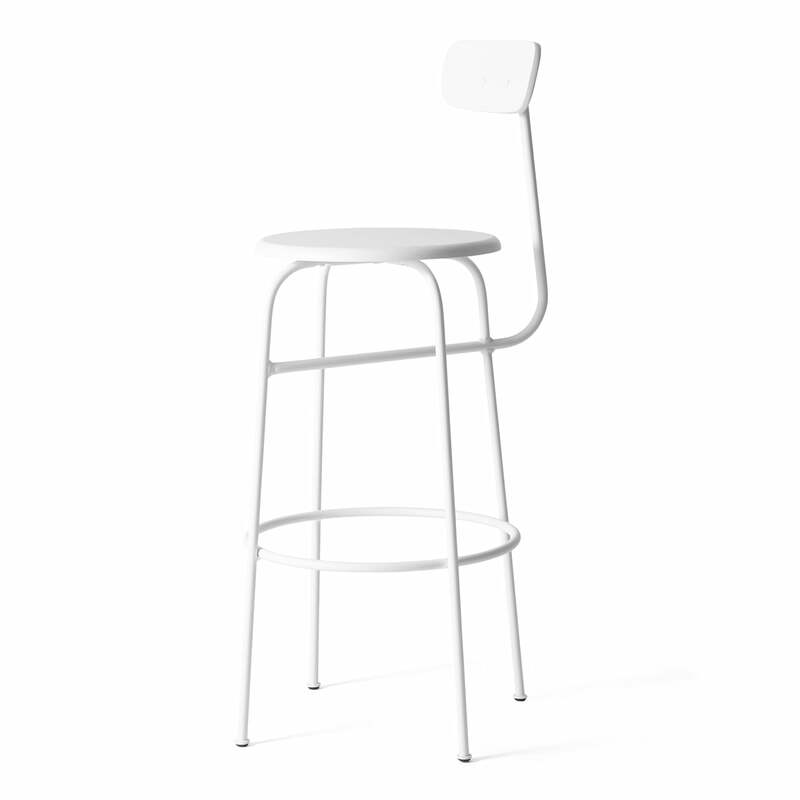 The appearance of the Afteroom barstool is as original as the design of its predecessor. Reduced design meets functionality – a mix inspired by the designs of the Bauhaus. Hung-Ming Chen and Chen-Yen Wei manage Afteroom in Stockholm. Their inspiration comes from their intense interest in proportions, materials and cultures. They often describe themselves as lawyers of time, willing to produce pretty things that become more and more valuable. Designs for a whole life. 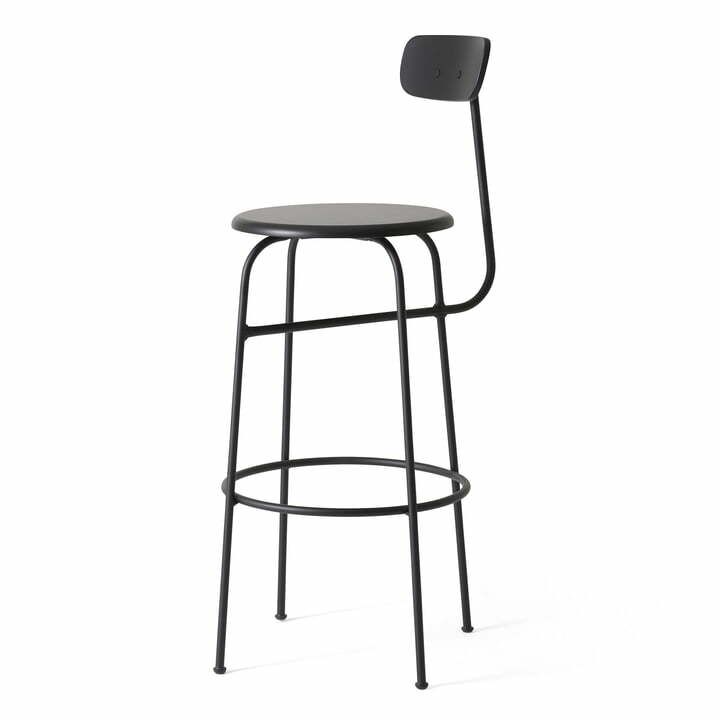 The Afteroom barstool is a timeless piece of furniture, which fits in different surroundings without any problems. 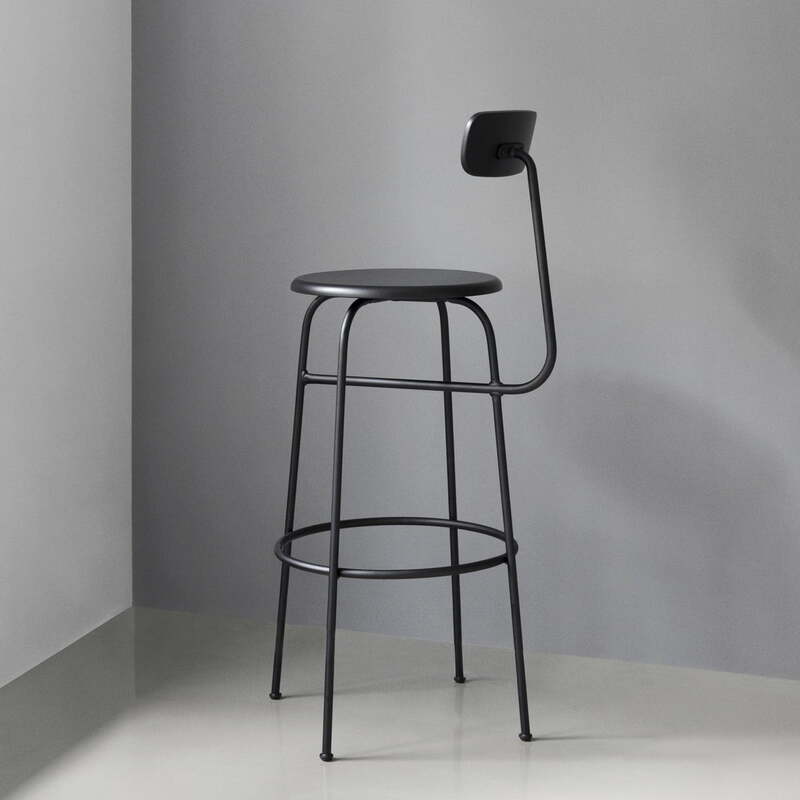 The designers of Afteroom use powder coated steel and painted plywood as materials, which is why the barstool belongs to the most weightless barstools with its 4 kilograms. 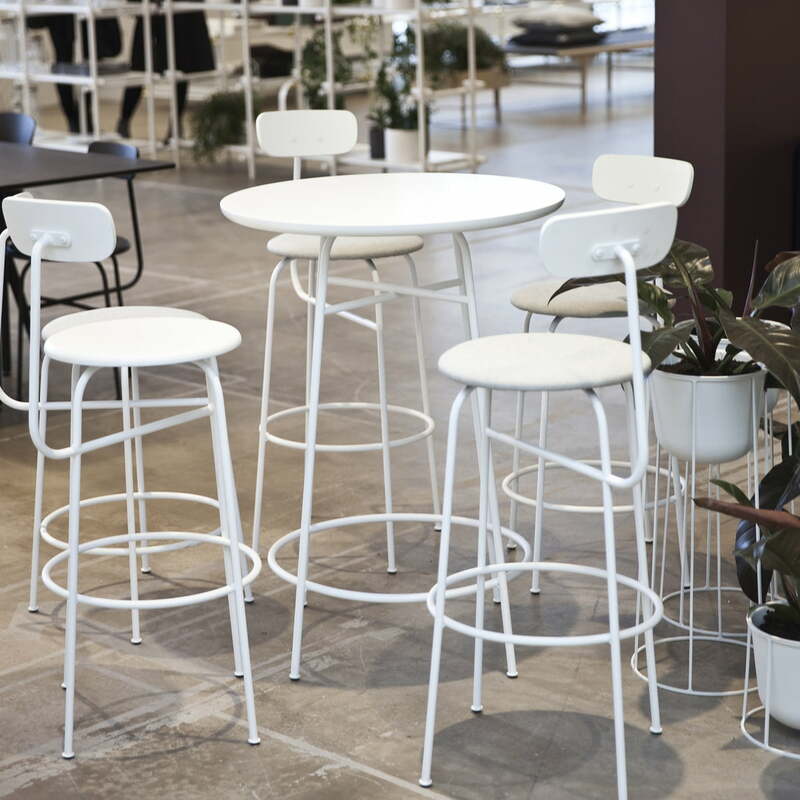 The Afteroom bar stool is available in different versions.